This beautiful suspension bridge is a beloved symbol of San Francisco. 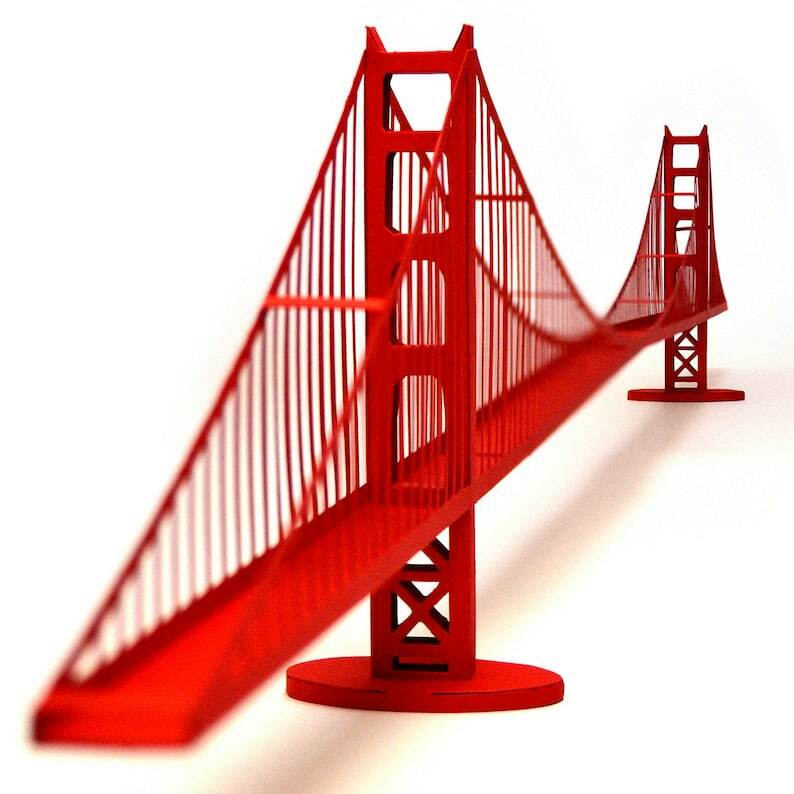 You can build your own Golden Gate bridge model with this model kit, following detailed step-by-step setup diagrams and instructions in English, German or Latvian. Now it's your turn time to play engineering! Browse our shop to find more papercraft 3D architecture art supplies for a back to school project, choose your architecture model template. Bought for a friend, cant wait to see it when they have assembled the bridge. Packaged well.